How do we get that? According to Aaron Hurst at Imperative, the answer is Purpose. Hurst says, “Purpose-oriented individuals are 125% more productive than their peers” who are not. The key to a productive mindset is our level of fulfillment, aka happiness, and connection to our organization. In addition (pay attention sales managers! 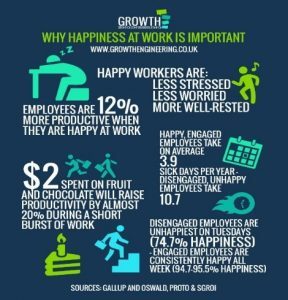 ), according to the UK’s Growth Engineering team, happy and engaged employees are able to sell 37% more than their unhappy colleagues. For those who are visual learners, here’s a great infographic from the Growth team. Hubstaff, in their “State of Productivity and Management Report,” wrote that “most organizations do not measure the cost of low productivity and low employee engagement.” If your organization isn’t aware of its productivity measures, it may be missing important insights to be harnessed, and greatly limiting your success. 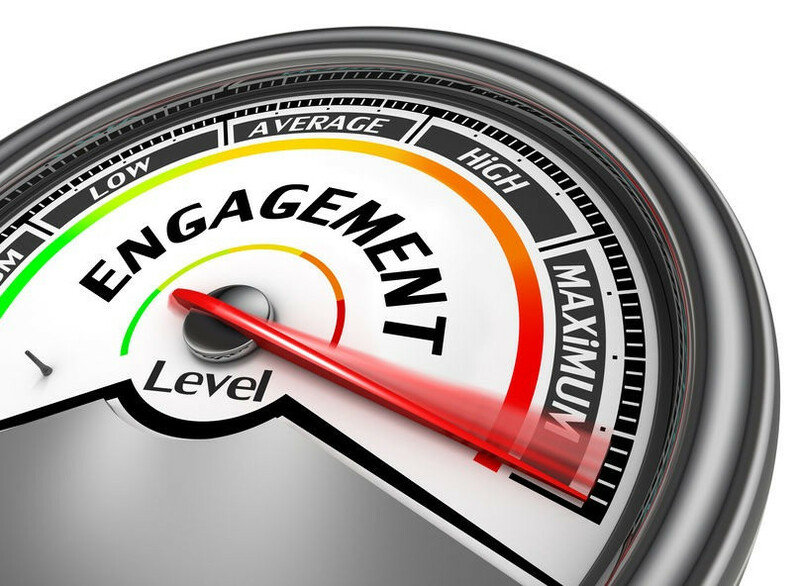 Engage employees and let them know you care. As a leader, there are great ways to show your employees that you care. Letting them know they are important to the organization is crucial. A recent study showed that the majority of employees don’t know how their contributions impact the company, so communicating how your employees affect your bottom line is a great place to start. Model your own motivations, have fun at work and remind your team that you are human too. It can be hard to stay connected if you manage a large organization. Social media is a wonderful way to share the passions that motivate you in and outside work. So connect on social media with those in your organization. It can improve teamwork too! Hire a great company to help you strategize, create and implement your employee engagement plan. Worktank has helped leaders at Microsoft, Boeing, Comcast, SAP, Tektronics and more to craft and broadcast their messages to their employees, partners, and customers around the globe. Read up. There are lots of studies and employee engagement reports regularly produced by Forbes, Gallup and others who share tips and tricks. There’s something to positively impact every person on your team! I’ve spent years crafting blog posts, but as I wrote this one, I realized they have always been in the voice of another. 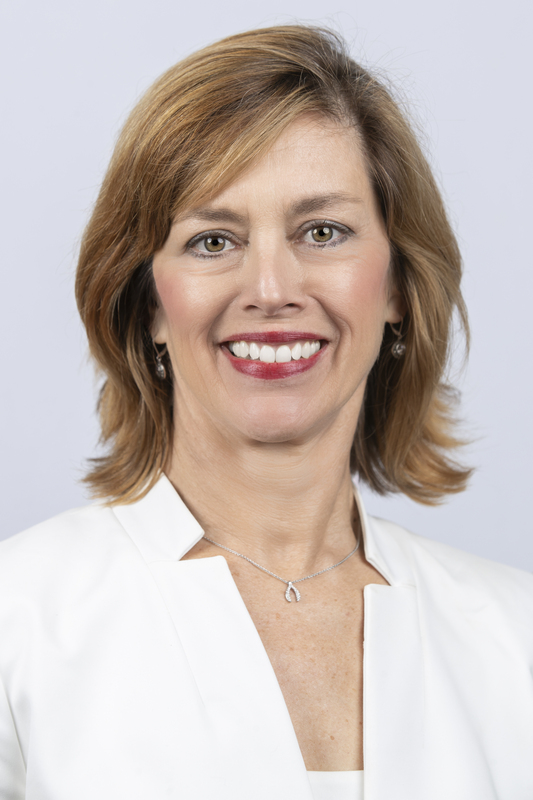 My three-decade career in communications and marketing has gifted me with many opportunities to ghost write and edit hundreds of blog posts and other pieces of written content for a myriad of senior executives across many corporations. When I wasn’t drafting blog posts for managers, I was busy generating executive communications to send to their teams around the globe. In words I crafted for them to disseminate, employees, partners, and customers were strategically and thoughtfully engaged by company CEOs, Presidents, Vice Presidents and General Managers. I am excited to help Worktank bring these lessons learned and best practices to our clients, and support us all in becoming dynamic leaders, who engage and empower individuals, and ultimately transform them into motivated, fulfilled, and productive employees.